Normally, the cancellation of an anticipated game would send me off on a furious Internet rampage with no grasp on logic or coherency. The cancellation of Mega Man Legends 3, however, triggered an entirely different set of emotions. The franchise as a whole has been on thin ice for several years now, but it's only after the recent string of failed starts that the truth finally hit home. The Mega Man series is finished. A lot of us may be fans of at least one of the Blue Bomber's many incarnations, but he has always held an extra-special place in my heart. To me, these weren't just games; these were a constant comfort throughout my youth and well into adulthood. 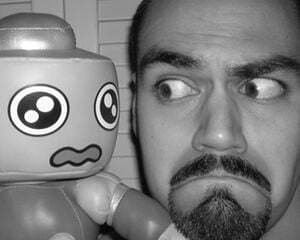 Mega's adventures fueled my imagination like nothing else -- no other videogame, movie, book, or TV show came close. Whenever I would grow jaded with gaming, a new entry in my favorite series would be announced, and it felt like homecoming. So connected am I to Mega Man that it feels like I've lost a friend. Though Capcom may bring him back one day, I don't want to get my hopes up. He's had a good run and deserves a proper send-off. What happened to Legends 3 is an unfortunate shame, but you can't really lay all the blame on Capcom. You might be tempted to point fingers at market uncertainty surrounding the 3DS, but it's not that either. Mega Man games just don't attract much of an audience anymore. The biggest success for the franchise in recent memory was Battle Network 4 on the Game Boy Advance, but that success was quickly followed by decline. Remember Powered Up and Maverick Hunter X on the PlayStation Portable? Those were supposed to lead a string of remakes that spanned the entirety of the Classic and X series, respectively, but inadequate sales halted those plans. Star Force, the DS follow-up to Battle Network, only lasted half as long as its predecessor before being placed on indefinite hiatus. The other DS sub-series, ZX, managed all of two entries before flatlining. In hindsight, Mega Man 9 and 10 seemed like tests to gauge the franchise's viability going forward. Inti Creates worked hard to emulate the NES style faithfully in the hopes of recapturing the essence of Mega Man in its prime. From what I gather, Capcom was apparently pleased by 9's sales and slightly less pleased by 10's. The 8-bit throwback design might have worked to bring lapsed players back initially, but it's obviously not a technique that could be used repeatedly without generating brand fatigue again. Despite Capcom's insistence otherwise, it's clear that Keiji Inafune was the only senior staff member with enough pull to get these various Mega Man projects green-lit. After he stepped down from his position as global head of production, there was no else with the same level of influence to fill his shoes. Mega Man Universe was already on the chopping block the minute Inafune cleaned out his desk, and it's only by some grand miracle that Legends 3 lasted as long as it did. Capcom has essentially closed the gate on every possible path the Mega Man franchise could go down -- retro sequels, remakes, user-generated content, spin-offs, and revivals. Maybe we'll see some kind of return in the future, but again, its current state doesn't fill me with much confidence. Game development these days is too risky, unfortunately, and Capcom is one of many big dev houses trying to consolidate their properties. Here is a franchise that was once famous (or infamous) for its umpteen annual releases. In its later years, each game was an anomaly, straddling the fine line between existence and vaporware. Critical mass had to be reached at some point, sure, but it's nonetheless a mind-blowing turn of events. It definitely was for someone like myself, who actually didn't mind the constant influx of software. Ironically, the entire franchise was almost dead on arrival. 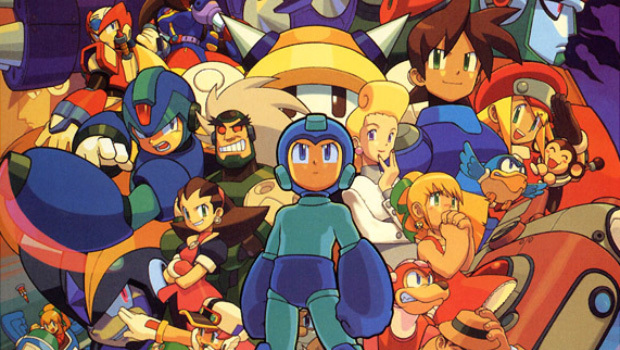 The story goes that the original Mega Man sold under expectations, but Capcom granted the development team permission to work on a sequel in their spare time. Truly, it was a labor of love that payed off in spades. By the will of a few, a gaming icon earned a second chance at glory and succeeded. Come to think of it, there are no more fitting themes for the series than "will and perseverance" -- you have a relentless madman, an indefatigable robot, and their immortal legacy across the centuries. Each game was a chapter in a grand saga, not unlike an anime serial in which viewers would anxiously await the following week's episode. It was that combination of the familiar and the exotic that inspired fans and helped them to endure. More so than nearly any other major franchise, Mega Man owes a great deal of its legacy to direct fan input. We've witnessed this collaboration first hand in the Mega Man Legends 3 devroom, but this partnership extends back all the way to Mega Man 2. Starting with the second game, Japanese children would submit Robot Master ideas, and the best would become Mega's new rogue's gallery. North American kids even got a crack at glory when Nintendo Power hosted a design contest for Mega Man 6, resulting in Knight Man and Wind Man. How cool were you if you could tell your friends that you designed a boss in a videogame? Those little nods are what made Mega Man such an endearing icon. His games were so chock-full of personality, made more amazing when considering how fast the franchise roster would expand. Whenever you'd think all ideas have been exhausted, there came a Sheep Man or an army of adorable yellow henchmen looking all the world like LEGO minifigs. Then there's the gameplay itself, which surprisingly changed very little throughout Mega's history. Taking on enemies in any order you choose, obtaining new weapons and techniques, then using those acquisitions to conquer other foes was such a simple concept, yet it opened up so many avenues for customizing the experience to suit the individual. Even when the series spun in wild new directions, as with Legends, Battle Network, and Star Force, that freeform spirit remained. I was on board with the series right from the very beginning. I might not have been able to articulate why I was so enamored with it at the time, but I knew almost instantly that I would be in this for the long haul. Every new adventure was a pure joy, every death a humbling frustration. There were memorable battles around every corner, like the Mecha Dragon in Mega Man 2 or the invincible Vile at the end of the intro stage in Mega Man X. This is what videogames were all about to me. My parents knew how passionate I was for these games and used that knowledge to surprise me many times. They threw me a Mega Man-themed birthday party one year, complete with hand-made invitations of my own design and a Mega Man and Rush-adorned cake. Since I owned a Famicom from our years in Yokohama, my dad would keep an eye for titles I might enjoy every time he embarked on a business trip back to Japan. I couldn't be more excited the morning I woke up to find both Rockman 5 and 6 at my bedside, deposited there the previous night by my late-arriving father. My favorite story came years later while I was a sophomore in high school. I had fallen off the wagon for a bit, thanks to my decision to get a Nintendo 64 rather than a PlayStation. I envied those players who were enjoying the latest Classic and X installments, not to mention that new Legends game I'd heard good things about. One day, I caught wind that Legends was coming to the N64. Even though the sequel would be out by the time the port dropped, I didn't mind! Also around this time, I had signed up to take part in the Susan G. Komen Race for the Cure, a 5K run for breast cancer awareness. Normally, 5K wouldn't be a big deal, but I had recently joined my school's track team and endured conditioning the week of the race. By the time Saturday rolled around, I could barely stand, much less jog. I was regretting ever slapping on a pair of cross trainers. Thankfully, my friend Chris was in the same boat as me. It was perhaps the most physically demanding event in my entire life, but we encouraged one another to not give up and to push through the searing pain. That evening, my parents had a surprise for me -- a copy of Mega Man 64. I was overjoyed! After the morning's challenge, this was the greatest reward I could have hoped for. Those themes of "will and perseverance" were resounding in my head, and I felt pride well up inside. This was one of those personal achievements that makes a person look inward and give thanks to the great influences along the way. I was thankful for having parents who instilled strong values in me and for having a friend with whom I could share the good and the bad. And yeah, I suppose a little robot boy in blue deserved some credit as well. We may never see another original Mega Man game again, but that's not to say that the Blue Bomber is gone! There has been an amazing upsurge in the availability of Mega Man merch these past few years, a lot even finding its way out West. UDON has done a wonderful job localizing manga, particularly Hitoshi Ariga's spectacular Megamix and Gigamix series, and releasing art books, like the upcoming Mega Man Tribute. There are figurines, model kits, and even new CDs straight from the Inti Creates sound team. Just a couple months ago, Archie Comics launched a new Mega Man series, which is already being praised for its art and writing. These ancillary materials may not take the place of full games, but they do demonstrate that Mega will be with us for many, many years to come. It's been a fun ride, Mega Man! Thanks for the adventure!